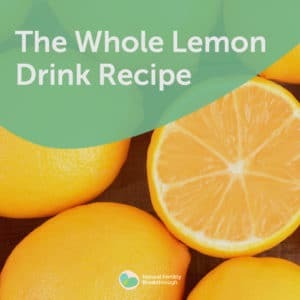 Home » Whole Lemon Drink » The Whole Lemon Drink…. It is safe to consume if pregnant or doing IVF, as well as throughout natural conception attempts (during the entire month). If you are allergic to citrus, then avoid the drink. If you don’t like any of the single ingredients in the mix – at least try it – as you may be surprised by the combination as a whole, which in my opinion creates a very palatable beverage. This happens seldom, however if you feel excessively bloated or unwell after 1-2 weeks of drinking it – discontinue use and replace this ritual with drinking 2-3 cups daily of liver cleansing teas instead, such as milk thistle, dandelion, globe artichoke. If as part of the #FertilityChallenge you have improved your diet, got rid of toxins and began drinking the whole lemon drink—any changes in your cycle may occur as a way of your body rebalancing. However, you can be rest assured that any change doesn’t have a negative side effect on you in improving your health. On a side note, also be sure to increase your filtered water intake to 2-3L daily for optimum health. *** PLEASE NOTE: If you have any further questions about the whole lemon drink, be sure to search the group before asking because this topic has been EXHAUSTIVELY covered for the last almost 2 years. I actually find it quite impossible that any question you may want to ask about it hasn’t yet been asked. However, if you do your research and you actually have a new question about the whole lemon drink, please post it in the comments below ONLY as any other post about the whole lemon drink from now on will be deleted. Cut lemon into small pieces, combine all ingredients and blend in your blender for 20-40 seconds. Strain and discard the pulp (or add it to smoothies if you wish; or simply blend a little longer and no need to strain at all). Consume ½ of the liquid before or with breakfast and the rest for dinner. Store the remainder in a clean glass container* in the fridge. Always consume the total amount within 24 hours to prevent rancidity and too much oxidation. • The oils provide essential fatty acids for immune function; cell integrity; for dry skin, etc. • D-limonene in the peel has anti-cancer effects. • Lecithin acts on the liver (esp. Fatty liver) and nervous system (peripheral neuropathy) as well as the kidneys and brain, plus helps the oils absorb better. • The drink helps decrease swollen glands; increases energy; helps lift depression and anxiety. One amazing brew; cheap; simple; safe & effective! A: Yes, lime is perfectly okay. Go for gold. It’s delicious. 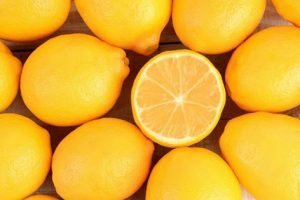 Q: How long can we store the whole lemon drink before it oxidizes? A: Ideally drink it within 12 hours, and within 24 hours max. For more information, register for the next free #FertilityChallenge. ← What is a Chemical Pregnancy?